Join over 700 satisfied barbers and stylists that have learned these techniques from our online course. 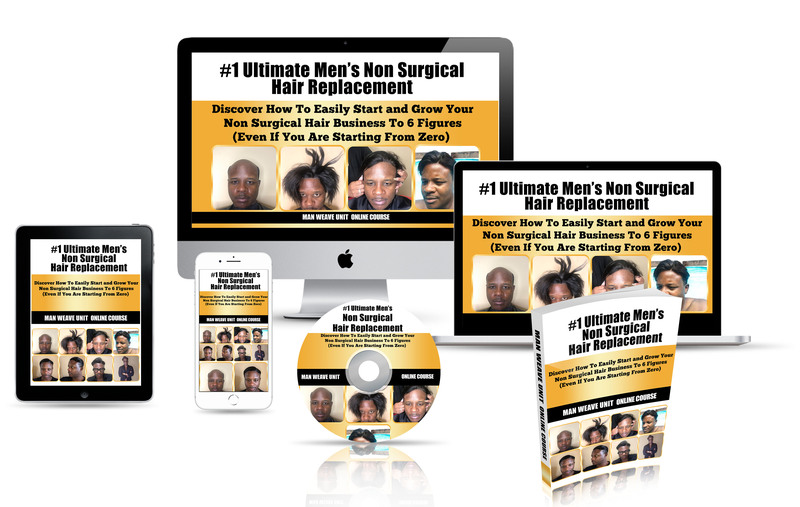 Click the link below for immediate lifetime access to the Ultimate Man Weave Unit Online Course. Once you complete YOUR transaction, check your email for your link to sign into the online course. You will receive a Man Weave Unit CERTIFICATE by mail. Type your name in the box as you would like for your name to appear on your certificate. Online Class Instructions- What You Need To Bring?